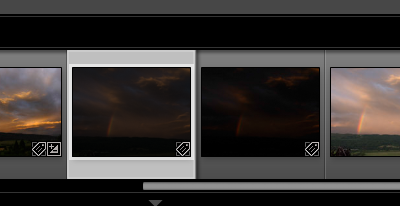 This first pair (RAW on the left) were pretty underexposed – the histogram is from the RAW – the jpg was even more to the left. Taking the underexposed one first, using the Develop module in Lightroom I can make some exposure adjustments to get my detail back – and chose a couple of stops extra exposure and then also brought the blacks, shadows and whites out a bit, but toned down the highlights. A bit of extra clarity and vibrance helped too. This left me with a better shot but still a little noise. In the Detail section of the develop module I took the Luminance and Color options for noise reduction up 50, which toned down the grainy look, and also dropped the sharpening a little as it was making the noise, particularly the line just above the horizon, more obvious. Probably could have done some more precise and targeted adjustments by taking in to Photoshop – but overall got a good result. 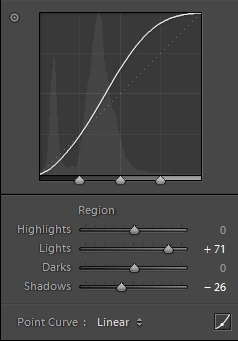 I made some manual adjustments to the tone curve too – increasing the contrast where most of my pixels are – to give a more dramatic effect. Certainly not as good as the pictures where I had better general exposure in the original, but if this was the only one I had managed to take, then the rescue steps were at least good enough to get an acceptable picture for the web. Next we can take a look at the jpg, as the same options can be applied to jpg in Lightroom, and Camera Raw. Firstly the shot need the exposure and black/shadow sliders much further to the right to get the picture light enough, and the histogram soon showed that the level of detail just wasn’t there – and I could see the familiar comb effect indicating a dis-continuity of the tones – which is normally evident as banding in areas expected to show smooth transitions. 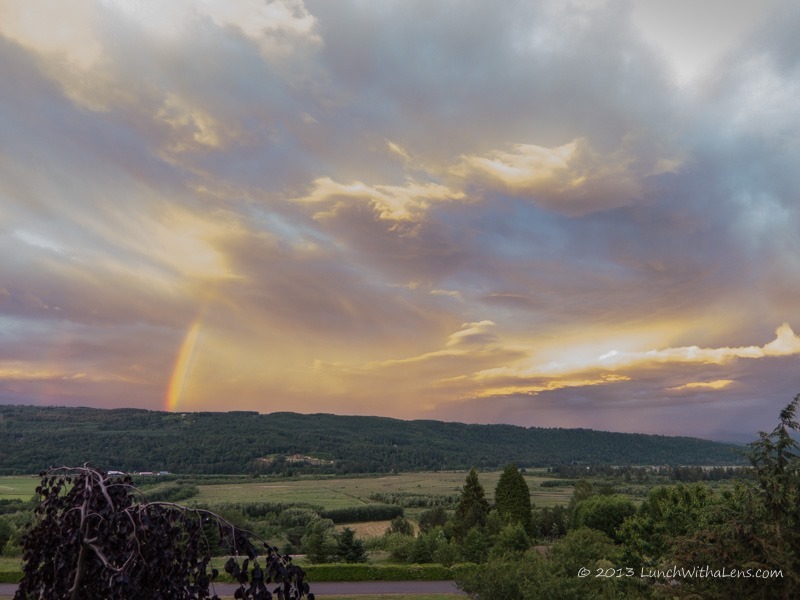 I also applied similar contrast levels and noise reduction – and was very impressed with the difference the luminance and color noise reduction was able to achieve – but still not the same final result as I was able to achieve with the RAW file. 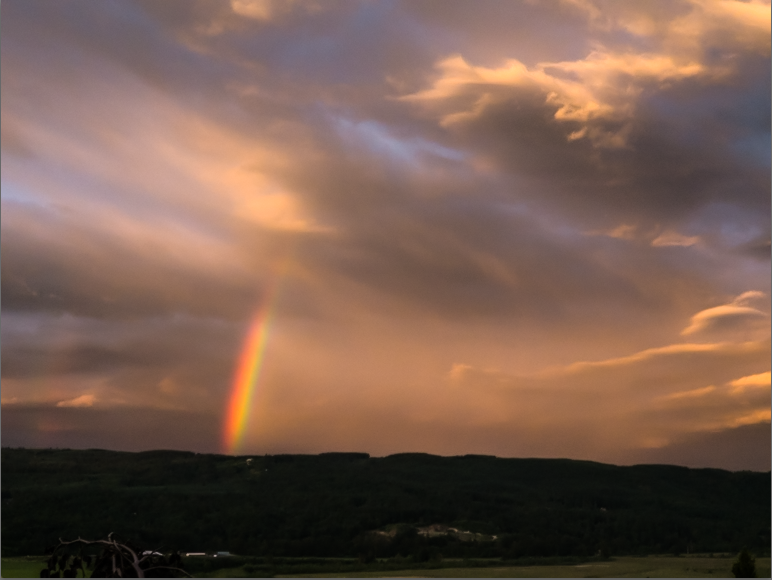 Some might prefer this dramatic look – but if that was what I was aiming for then I certainly could have achieved a much higher quality version starting from the RAW – just with a little more tweaking of the colors. 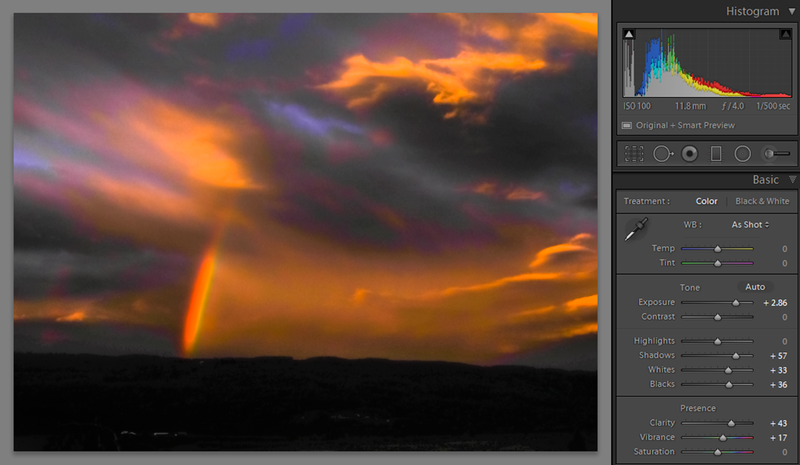 On to my extreme ETTR shot – and you can see from the histograms I was not joking! 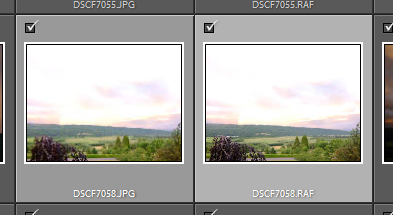 The highlight and white recovery sliders can do wonders for sky even in perfectly exposed shots – so lets see if they can get my sunset sky back. Cut to the chase – a stop and a half less exposure, –40 highlights and –81 whites, tehn pulling the blacks back out gave me good balance – and some clarity (+45) and Vibrance (+21) to add some punch. Unlike the under-exposed shots no need for any noise reduction. Then tried the same steps on the jpg. Only gave it just over a stop less exposure, and –33 and –57 for highlights and whites – but soon saw that there just wasn’t the information captured to recover anything like I could from the RAW. 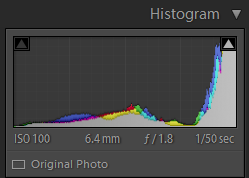 The final histograms for the two shots above back up what you can see… I don’t need to say which is which. 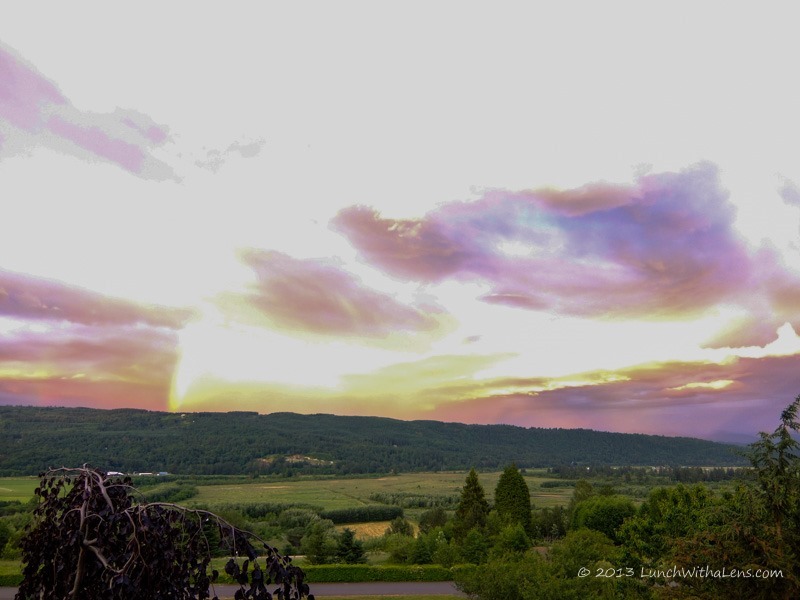 Much better to get the exposure right in the first place – but if you just manage to grab a shot then realize that the exposure was off – then all may not be lost if you are shooting RAW. 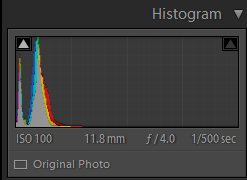 One final word of warning though – if you are shooting RAW with an advanced point and shoot rather than a DSLR or mirror-less system then you may find the .burst exposure rate holds you back. I learned the lesson the hard way – missed some shots of a July 4th flyby while my XF1 was saving the RAW data… I’ll remember next time – maybe. 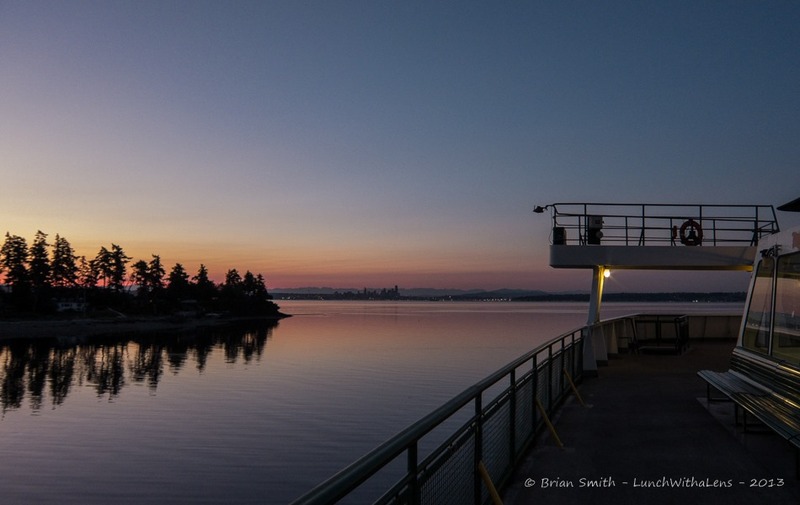 Commuted in from the Olympic Peninsula on Monday morning and checked the ferry timetable to make sure the usual 5:20am was still on the summer schedule – then I saw the 4:45am one – just before sunrise! Was it worth getting up even earlier for the 1 hour drive to Bainbridge? I think so. My favourite picture of the morning’s trip below. Taken with my FujiFilm XF1.